We are the sum total of our ancestors’ experiences. Through the lives, trials, and tribulations of those who have come before us and those who have witnessed what we have not, we can look to liberate ourselves from the shackles of mediocrity and achieve the success each one of us is capable of. Thankfully, many of history’s greatest souls, minds, and achievers have committed their wisdom to writing and in today’s article, I want to highlight for you just some of the books which should take pride of place in a successful person’s library. While there are a myriad of books that could be listed here, and many from modern times, the classics can teach us so much (after all, we stand on the shoulders of giants) so that is where I want to focus today, bringing you a selection of essential reads for all those who’ve aimed their compass at the north star of success. Let us begin. Benjamin Franklin was one of the Founding Fathers of America, a true thought leader and inspirational figure who was integral to the success of his country both prior, during, and after the revolution. His seminal autobiography, aptly named “The Autobiography of Benjamin Franklin”, was written periodically between 1771 and 1790. This famous work is an unfinished account of the great man’s life and exists as a truly inspiring and thoroughly didactic memoir for all to read. Franklin was an accomplished author, printer, entrepreneur, politician, scientist, and inventor, among a plethora of other vocations. I can’t recommend this landmark work enough for what it teaches us about hard work, virtue, and what it means to be a successful adult. Is there any book that has had a more profound impact on global business tactics, military thinking, and legal strategy than this masterpiece of ancient Chinese literature that is Sun Tzu’s “The Art of War”? Composed of 13 chapters, this colossal work dates back to the 5th century BC, and through focusing on different aspects of warfare and military strategy, it teaches more than just Generals about the tools and tactics needed for success. With much of the text focusing on how to fight ‘wars’ outside the arena of battle, the advice found within will be surely instructive to those who want to sharpen the mind and outwit their opponents in many areas of life. History’s most tumultuous periods often bring about persons of substantial esteem. Enter the French Revolution and François-René de Chateaubriand. Chateaubriand was a writer, soldier, and politician, who lived a truly fascinating life and, fortunately for the world, committed his memories to paper in his redoubtable “Memoirs from Beyond the Tomb”. A writer of unparalleled talent, Chateaubriand’s Memoirs were published (as requested) upon his death, detailing his life as a young aristocrat who fled the terror of the revolution before returning in poverty out of devotion to his homeland. Bravery, loyalty, and resolute principles are key ingredients for a successful life – this book highlights them all. No matter the circumstances, Chateaubriand found a way to succeed. As we have discovered in an early article, Aristotle is one of history’s greatest thinkers. A man beyond his time, whose writings and philosophies have had an indescribable impact on the giants who followed in his path. 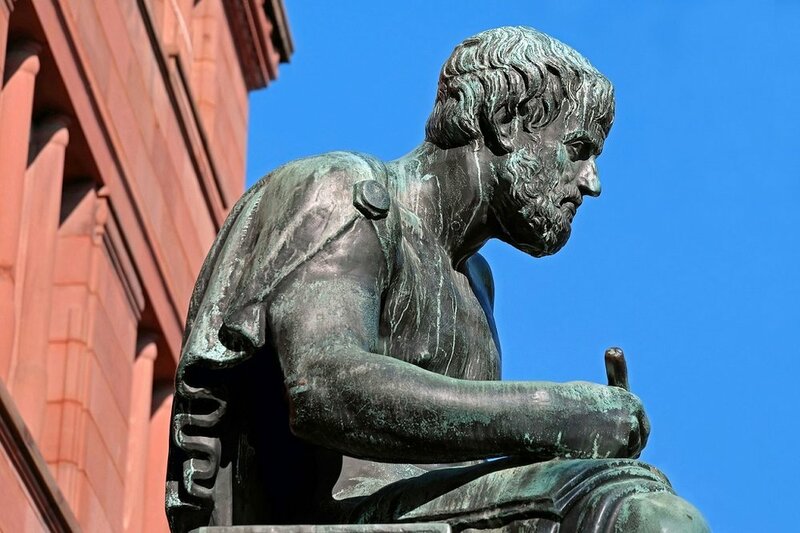 Aristotle’s “The Nicomachean Ethics” is an essential addition to your library, addressing life’s greatest questions and how to live life well. Success isn’t just about money or status, success encompasses all aspects of life, and as such, reading “The Nicomachean Ethics” is a must. Here he examines the nature of happiness, the soul, courage, generosity, and the power of intellectual virtues such as knowledge and wisdom. Rather than sticking to theoretical, this colossal work is a truly practical guide for wellness and successful living – its impact can’t be overstated. Don’t forget to explore all of our materials here at The Odissean Experience, so that you can achieve success with a more enriched mind, body, and soul.